This model is designated as vehicle and indoor ionic air humidifier, which can be used in both your lovely car and home. Thanking to its compact size and elegant out looking, it can be easily brought into your bag and/or reticule during travel. With it you can enjoy a comfortable and humid air at anywhere and anytime, driving away the dryness in winter and say no to the uncomfortable. 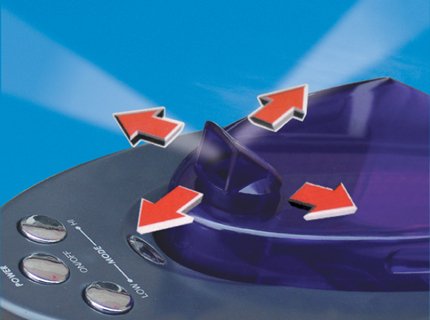 Adoption to ultrasonic cold humidifying technology, safe and simple in use. Its unique revolvable nozzle can furnish spraying mist in certain direction as your desire freely, thus its efficiency achieved effectively. The blue LED lighting system provides both effective detection of the misting condition and illumination in night.